As distillation at Raasay Distillery has started, we felt it was a good time to talk about each part of the whisky making process, starting with Malting and Mashing, as these are some of the least talked about parts of the stages, yet certainly not the least important. 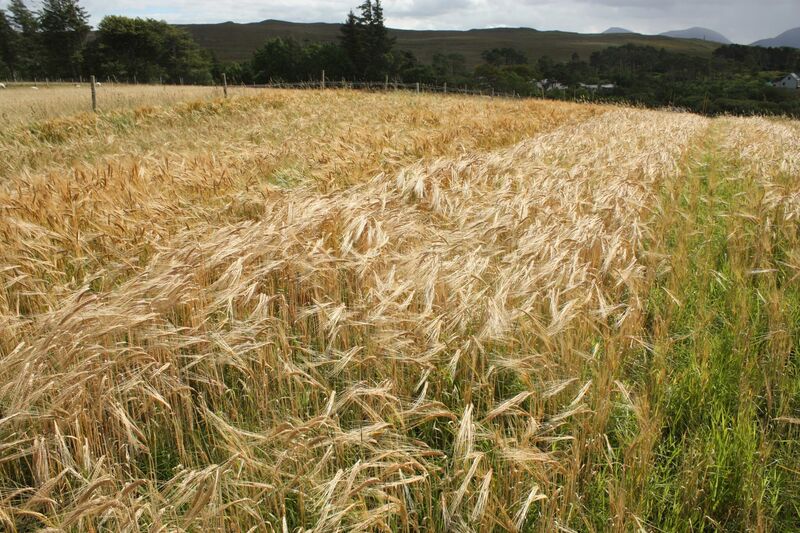 The barley they use is local from the Speyside and Inverness areas. Bairds Malt is a drum maltings, which means they have multiple iron containers filled with barley. They have quite spectacular equipment to malt significant amounts of barley, making sure that there are no issues with leaving any barley unmalted, or any issues with damaged barley. 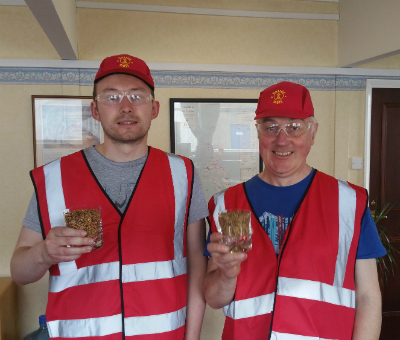 Early on, when we were beginning to talk to Bairds Malt about working with them, our Visitor Experience Manager Iain Hector Ross and myself had a tour around the huge warehouses filled with mountains of barley, that almost looked like sand dunes. We also saw the impressive iron drums, wetting, drying and smoking barley. It’s fair to say it was pretty fascinating. Malting is the process of getting the barley to produce enzymes that will eventually break down the starch in the barley into sugar. Essentially, the process tricks the barley into growing, as you need this sugar to make alcohol. First you steep the barley for 2-3 days. This is the process of wetting and putting air through the barley, to start the germination process. Germinating is getting the barley to grow slightly, but you want to stop it before the barley starts using the sugar held within the grain to grow further. Then you allow the barley to germinate, using humidified air to encourage this. The barley is turned frequently to stop the grain matting – or binding together. Finally there is kilning and peating. Barley can be peated or unpeated. To achieve unpeated malt, the barley is kilned. This means hot air is blown through the barley. This stops the barley germinating so the barley can be transported to the distillers ready for mashing; where the enzymes will break down the starch, sugar will be produced, and then the distiller will add yeast to make alcohol (but we are getting ahead of ourselves!). Peat is a younger version of coal, which when burnt, produces a very recognisable smoky, peaty aroma. When used to dry the barley, the barley becomes smoky and peaty, producing a smoky, peaty spirit, and eventually a smoky, peaty whisky. For peated malt, the barley is kilned the same way as unpeated malt, but it is then ‘peated’ for up to 60 hours; peat is burnt and the smoke is blown into the drum until the barley is ‘heavily peated’. For our first 3 months of production, we used this heavily peated malt. For those that like to know PPM (Peat or Phenol Parts per Million), it is 45 PPM at barley stage. This can be a rough indicator of how peaty a whisky will be, but much depends on the next parts of the process. For the other 9 months of the year, we will produce unpeated spirit. We can then blend both peated and unpeated whisky (once they are of age) together to make a lightly peated expression, which we plan to be similar to Raasay While We Wait.